Congratulations to Lindsee Doud! 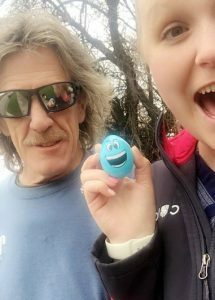 She found the egg in Preston on Tuesday April 16th. For finding the egg Lindsee has won $500. Thank you everyone who played along and hunted for the Easter Egg. We would like to thank all of our sponsors of this years KACH Preston Easter Egg Hunt. 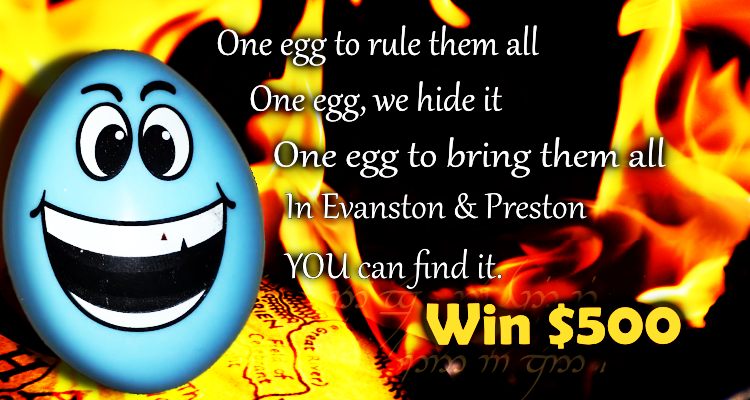 The Evanston Easter Egg Has Been Found! Congratulations to Angie Ellingford! She found the egg in Evanston on Friday April 12th. 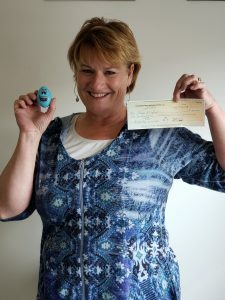 For finding the egg Angie has won $500. A huge thank you to everyone who participated, and to the sponsors that make the Easter Egg Hunts possible. Once again, Congratulations to this year’s winners, Angie Ellingford and Lindsee Doud!